Fenzlia species ( MYRTACEAE ). 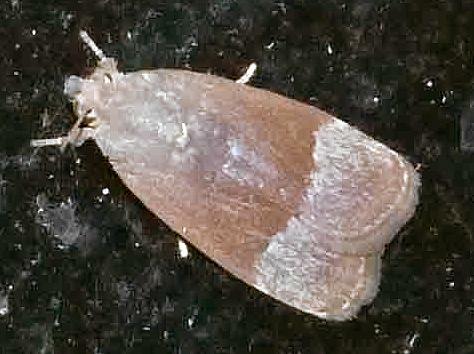 The adult moths of this species have grey/brown forewings each with a dark basal half, and a paler marginal half. The hindwings are white, each with black veins and a broad ragged brown band along the margin. The wingspan is about 2 cms. Vol. 18 (1979), pp. 33-38. Moths of Australia, Melbourne University Press, 1990, fig. 29.14, p. 312. Volume 1, Part 2 (1912), p. 39.